Indian food continues to be most searched-for cuisine across vegetarian and non-vegetarian food, and accounts for 91 per cent of the overall searches. This is followed by Italian, Chinese, Continental and American cuisines. Bawarchi.com, an online community dedicated to foodies, revealed interesting food habits earlier today. The study reveals that 91 per cent of all online searches related to food are for Indian recipes; both vegetarian and non-vegetarian dishes. This studyis based on over 4 million visits and searches across 25,000 food recipeson Bawarchi.com, in the last one year. While 40 per cent people look for vegetarian food online, the remaining 60 per cent look for non-vegetarian. • Indian vegetarian cuisines account for 97 per cent searches. • Dry gravy (33 per cent), more popularly known as subzis, and served as accompaniments to Indian bread and rice are the most widely searchedfor food course. • Indian vegetarians preferred gravies made of paneer and soya. • Starters made of Paneer are the most searched-for. • Most popular method of cooking searched-forincludestewing, followed by sauté and frying. • Here too, Indian cuisines top the chart with 85 per cent people looking for it, followed by Fusion and Continental. • Dry gravies (43 per cent) are most searched-for non-vegetarian food. Chicken, followed by red meat and sea food were the main ingredients. • Most popular starters were those made of chicken. • Stewing, followed by shallow and deep frying are the most searched-for cooking methods for non-vegetarian dishes. • Pastasand Pizzas are the most searched-for Italian foods. • Among Chinese food, Momos, fried rice, noodles and soups are most searched-for. • Interestingly, Indians mainly search for dessert options in the Continental and American cuisines. • Spanish and Arabic are most preferred Mediterranean cuisines followed by Turkish. • It is interesting to note that about 15 per cent people look for food for kids. • 49 per cent people look for recipes for their main part of the meal course which includes side dishes, followed by Starters (19 per cent) and Desserts (14 per cent). • Indians prefer parathas and idlis for breakfast. This is followed by recipes made of oats. • Fried food are the most searched-for food cooking method. Fish fry, crispy corn and chicken spring rolls being the most popular deep fried food item, whereas Chicken Fry, Keerai Adai and Sooji ka cheelaare most popular shallow fried food item. “With over 25,000 recipes on Bawarchi.com, we are the largest aggregator of food recipes online. It was fascinating to delve into the minds of our consumers and create perhaps the first scientific study on what food, methodologies and types were popular. 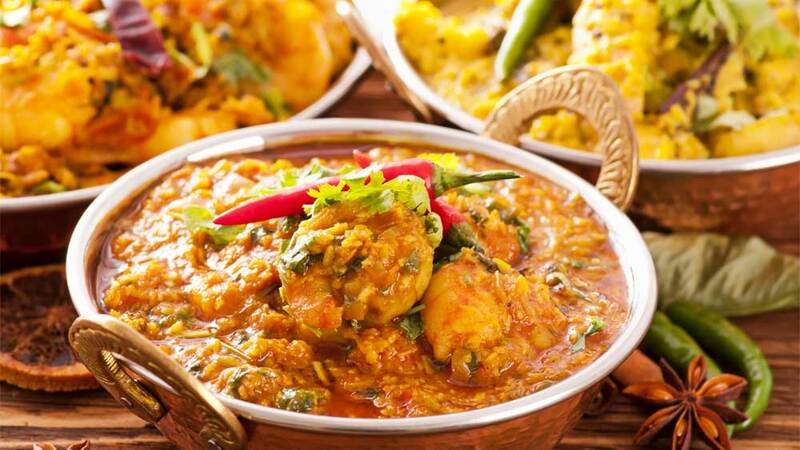 It is interesting to note that Indian cuisine are the most popular among our visitors worldwide. To make the portal more interactive and user-friendly, we recently revamped Bawarchi.com. That, and the continuous increase in our recipe database should give us a larger canvas of study in the coming years,” said, Arun Rajamani, Head – Portals, Sify Technologies. We offer great taste with healthy benefit: Red Man..